Sugar and fat are regular headline features in the press these days and while this has encouraged some food manufacturers to work to improve these parameters in their products, unfortunately salt has been largely overlooked and the levels of sodium added to our processed foods has hit some alarming highs. Salt, or sodium chloride, is a mineral which our bodies need for the function of most of our body cells. While salt can occur naturally in some foods such as meat, vegetables and fruit, the bulk of our intake comes from processed foods where it might be added to add flavour to a food product or as a preservative to prevent spoiling of a product for longer. 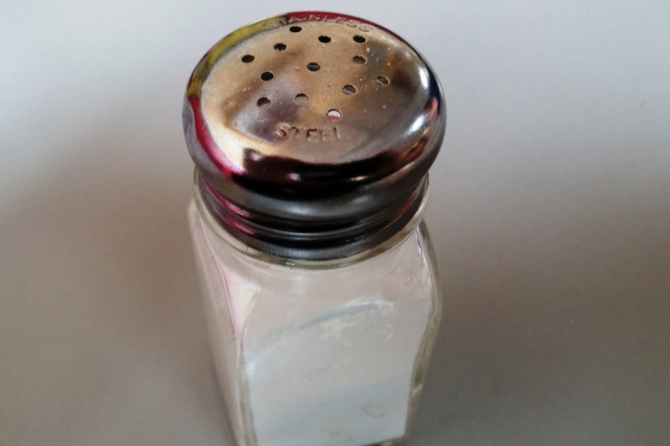 Is there a difference between salt and sodium? Salt is made up of sodium and chloride and it is the sodium part of salt that has been shown to be bad for our health. This is the item listed on the nutrition information panel (NIP) on the side of packaged food products. How much sodium should we have each day? 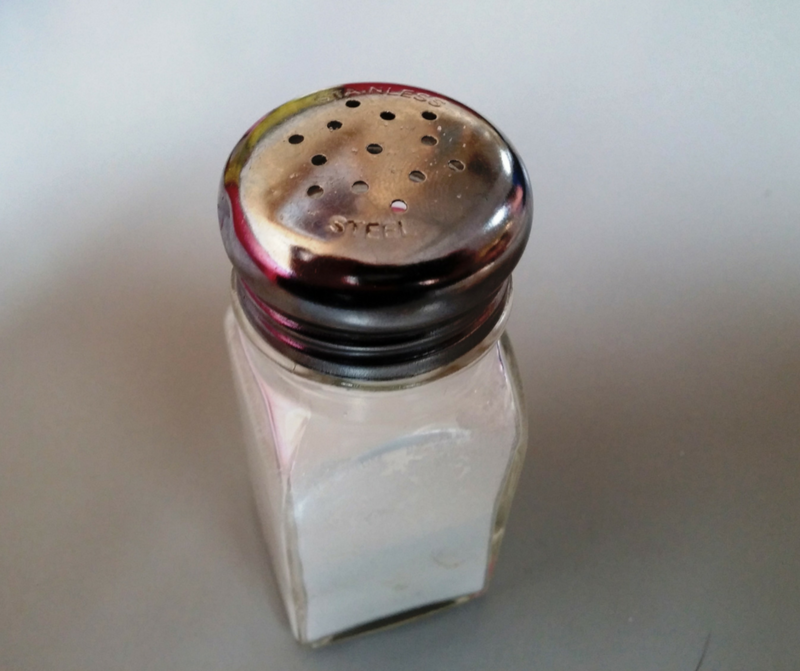 We don’t have exact recommendations for how much salt a child should have but the Heart Foundation recommends that adults consume less than 1 teaspoon of salt each day and therefore we can work back that children should be consuming far less than this. Which foods are very high in salt? There are many other foods which can contribute significantly to our salt intake and the amount of salt in these products will vary greatly from brand to brand. Check your breads, cereals, canned foods (particularly tomato based foods), sauces and condiments (such as tomato sauce), crisps and cracker snacks to make sure you are choosing the products with the least sodium per 100g. The best options to look out for are those which contain less than 120mg sodium/100g. A reasonably good option though are those with less than 400mg sodium/100g of the product. Really try to steer away from products containing more than this amount as they very quickly contribute very large amounts of sodium to you and your child’s day. Please, please, please check all packaged snack foods that you are giving your children to make sure that they do not contain excessive amounts of salt. You might be shocked when you start to look at the sodium content of otherwise seemingly ‘healthy’ snack options such as rice crackers. Often the ‘original’ flavour will be within reason, but when you look at any of the flavoured options, the sodium content increases alarmingly. Try to choose tinned and jarred foods with the least added sodium too – tomato based foods are probably the worst culprits but there are plenty of options on the shelves that will be appropriate too so keep looking!